Meriwether Lewis by John Lanzalotti (2000). 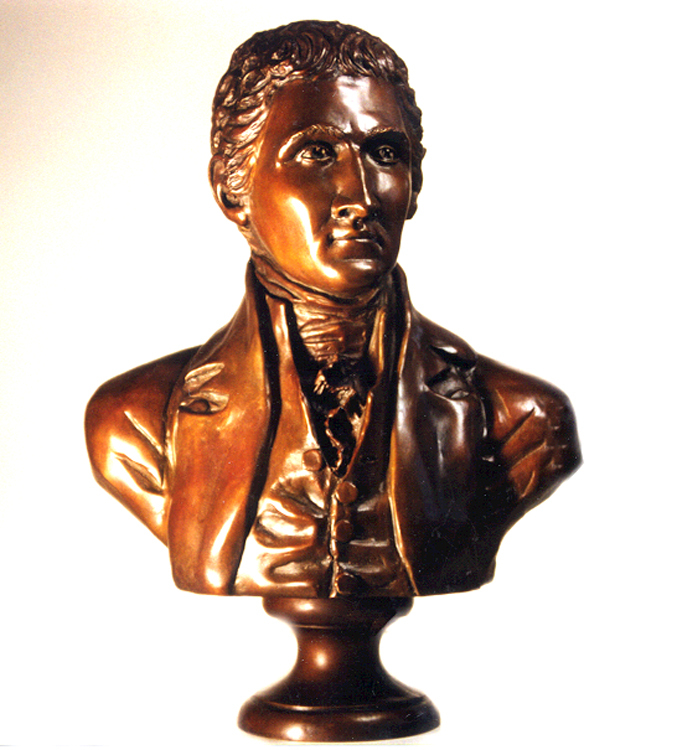 This bust was placed in the Virginia State Capitol in Richmond in 2008. 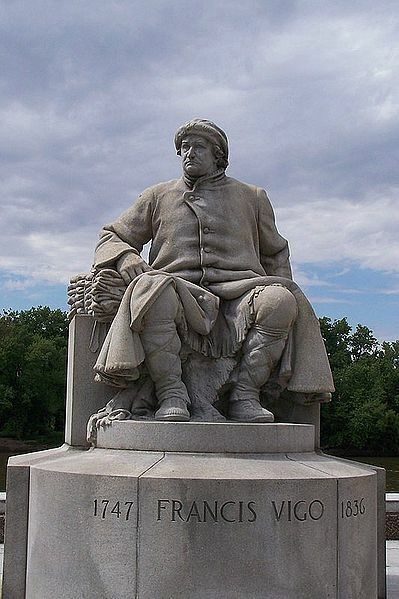 You might think that after Meriwether Lewis and William Clark returned from the West to great acclaim as national heroes, that every city and town associated with the Expedition would have wanted to erect a monument to their achievement. But in fact, outdoor public sculpture was unheard of in the United States until about the 1830s, many years after the Corps of Discovery had faded from memory. The real golden age of public monuments began in America after the Civil War, when almost every community wished to build a memorial to the dead. The pace of building monuments reached its zenith around the turn of the 20th century. Since then, a number of very interesting Lewis & Clark monuments have been erected all along the trail, with a fresh wave coming recently for the Bicentennial commemoration. In this series, we’ll take a look at some of the Lewis & Clark sculptures. 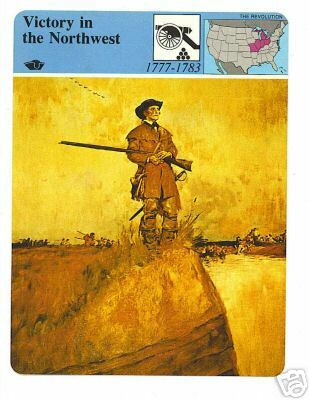 Today I’ll begin with several monuments in the “Eastern Legacy” states where Captain Lewis prepared for the Expedition and William Clark recruited early members of the Corps, as well as the way the Expedition is remembered along the first segment of the Lewis & Clark Trail in Missouri. As many historians like to say, the Lewis & Clark Expedition actually began in the mind of Thomas Jefferson, so what better place to begin our sculptural journey than Charlottesville, Virginia, the home town of Jefferson and of Lewis himself. The Charlottesville monument seems to have been the first permanent memorial to Lewis & Clark in the United States. Here, Charles Keck captured the manly beauty and virility of Lewis and Clark in this statue that shows them very much as frontier soldiers, perhaps not so different from the American doughboys who had recently returned from World War I. From the awkward pose, it is difficult not to think that Sacagawea was a last-minute addition to Keck’s commission, and indeed her posture has been interpreted as subservient or cowering, drawing student protests in recent years. In 2009, a plaque was added to the statue recognizing Sacagawea’s contribution to the Expedition’s success. "When They Shook Hands," by Carol Grende (2003). Statue located at the Falls of the Ohio State Park in Clarksville, Indiana. 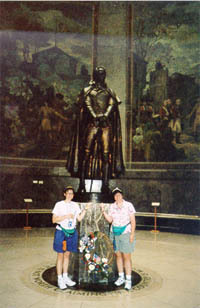 This bronze was commissioned by the Southern Indiana Visitors’ Bureau and several local boosters to commemorate Clarksville’s role as the home of William Clark in 1803 and the place where the two captains met that fall and began the planning of the Expedition and recruitment of members of the Corps of Discovery. Interestingly enough, sculptor Carol Grende of Montana accepted the commission in spite of an extremely tight seven-month deadline to complete the project before the bicentennial event in Clarksville, and the statue arrived in town just 30 hours before the ceremony began. "Captain's Return," by Harry Weber (2006). 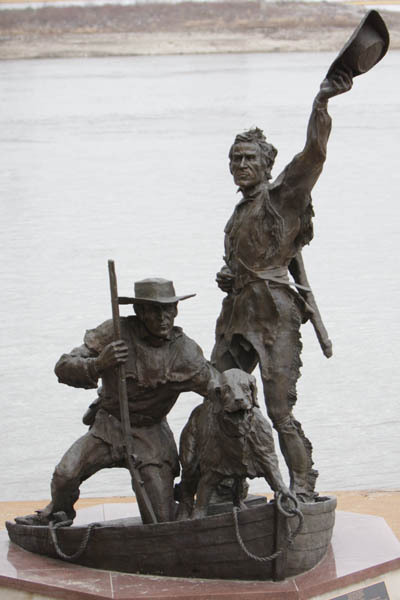 This St. Louis statue of Meriwether Lewis, William Clark, and their dog Seaman stands in the waters of the Mississippi near the Gateway Arch. 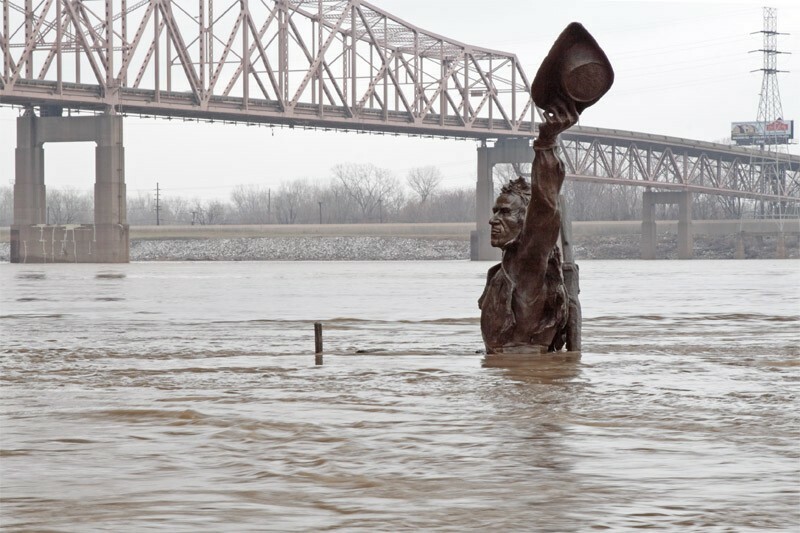 The Lewis & Clark statue on the St. Louis riverfront in flood stage. I have seen photos in which only Clark's hat is still visible. 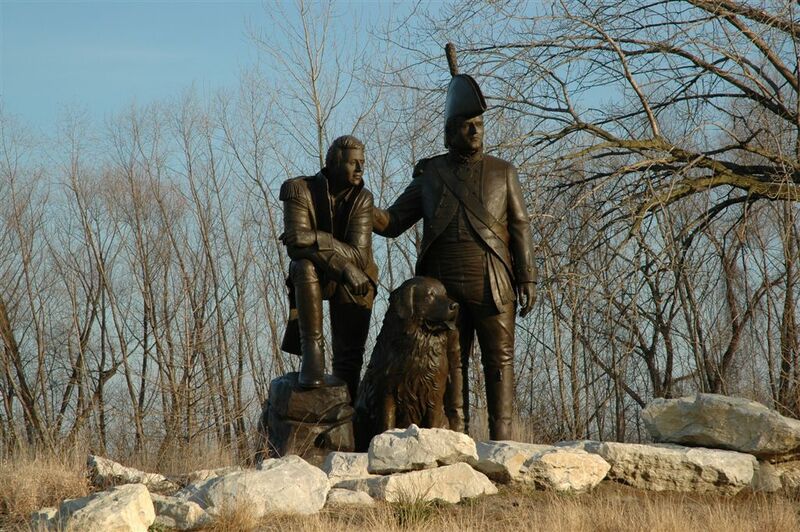 Lewis, Clark, and Seaman were a common trio in Bicentennial commemorations. 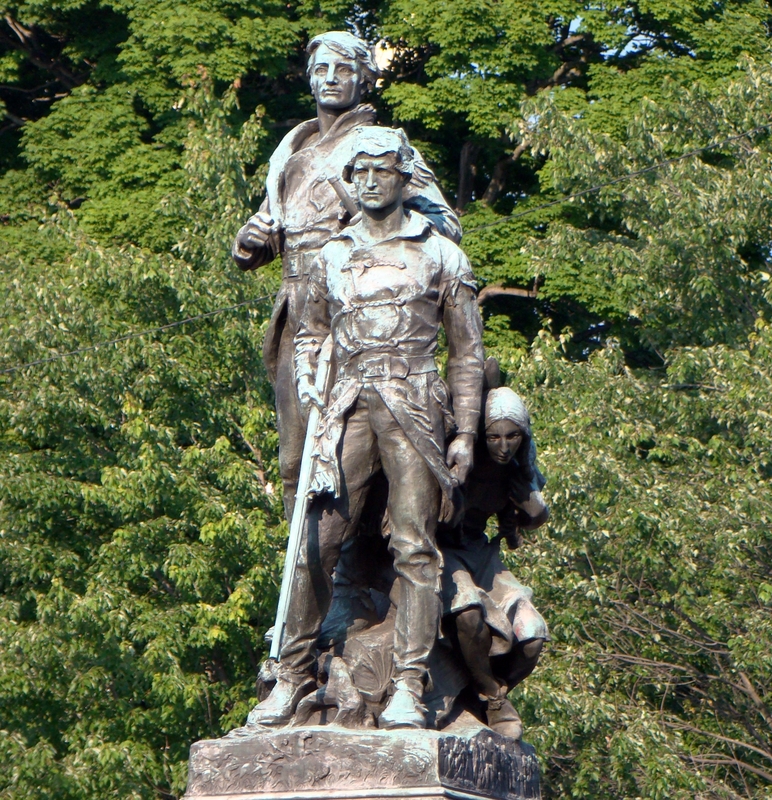 It is interesting to compare how bulked-up Lewis and Clark are here compared with their 1919 portrayal in the Charlottesville statue. 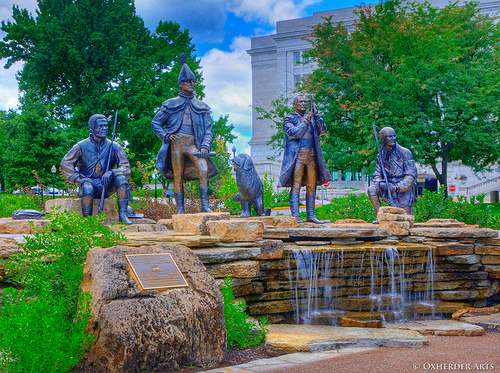 This grouping on the grounds of the Missouri state capitol in Jefferson City includes York, Lewis, Seaman, Clark, and George Drouillard. Bronze by Sabra Tull Meyer, 2008. A day in the life early in the Lewis & Clark Expedition is depicted in this grouping. The artist who made this arrangement, Sabra Tull Meyer, has a fascinating website that tells the story of the monument’s creation along with great photographs of how the statues were created. Check out The Making of a Monument. The Corps of Discovery by Eugene Daub (2000). 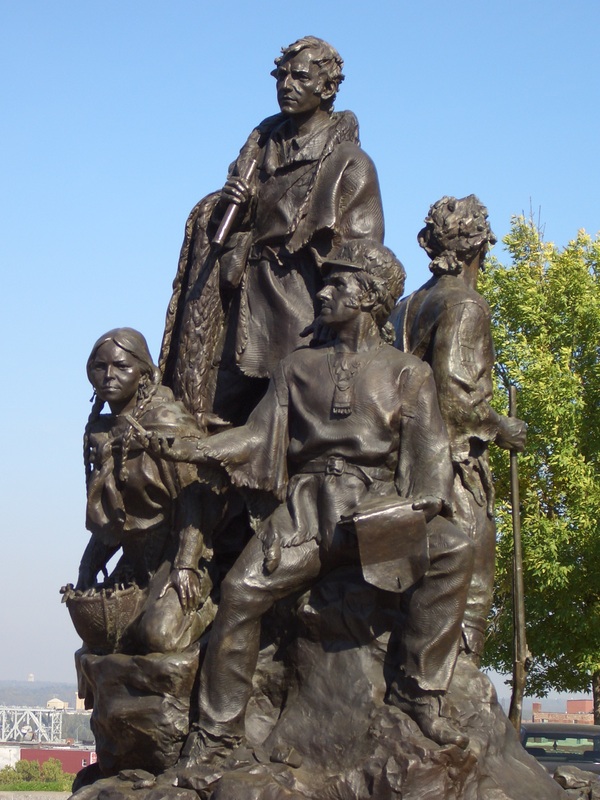 This statue stands in Case Park on the Kansas City waterfront, and depicts Lewis, Clark, York, and Sacagawea with her baby Jean-Baptiste on her back. The Kansas City monument was the centerpiece of the renovation of Case Park, a showpiece of urban renewal in downtown Kansas City. 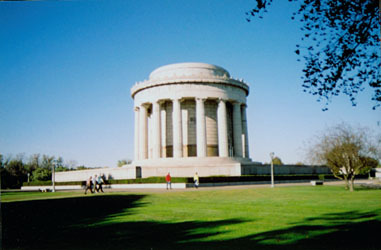 The monument is 18 feet high and is believed to be the largest Lewis & Clark memorial in existence. 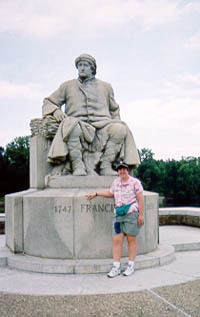 Are there any outdoor sculptures of Lewis and Clark in the eastern states or in Missouri that I have missed? If so, let me know. In the next installment of this series, we’ll trek onward and see how Lewis and Clark are remembered on the Great Plains. 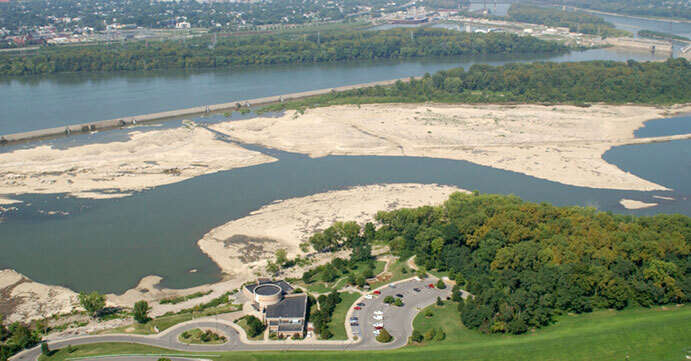 Location: On the banks of the Ohio River in Clarksville, Indiana, just across the river from Louisville, Kentucky. Clarksville is the oldest American town in the old Northwest Territory, which included present-day Ohio, Indiana, Illinois, Michigan, Wisconsin and part of Minnesota. 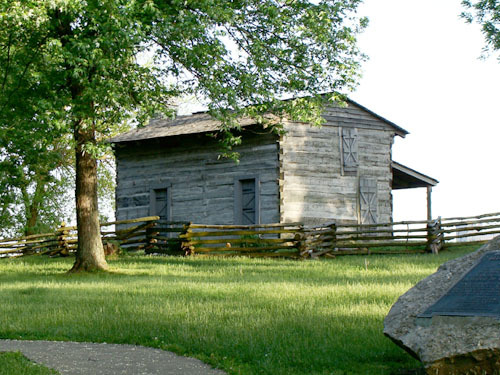 Founded in 1783, Clarksville was part of a 150-acre tract of land known as “Clark’s Grant.” This huge land grant was awarded to George Rogers Clark and the men of his army by the state of Virginia, in recognition of their “reduction of the British posts in the Illinois” during the American Revolution. 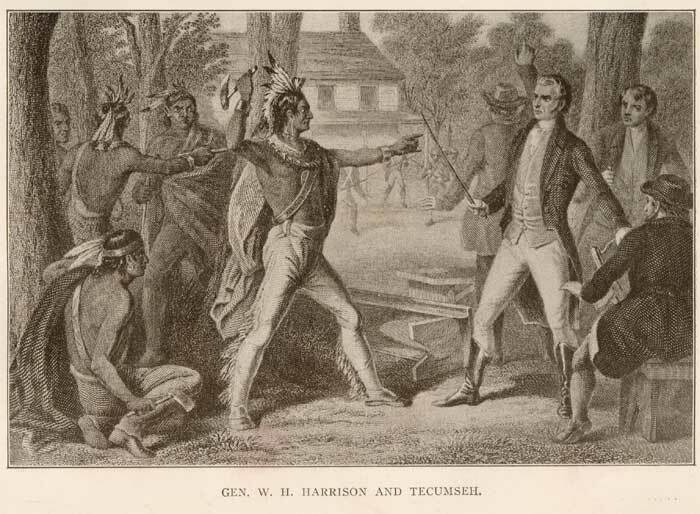 Clark and his men had taken British outposts at Kaskaskia and Cahokia, then improbably forced the British to surrender Fort Sackville at Vincennes. Clark’s military genius and audacity—as well as the incredible hardship he and his men endured—are the stuff of legend. Clarksville is also the site of an amazing natural history treasure. The limestone at the Falls of the Ohio is composed of skeletal remains from countless numbers of corals, sponges, echinoderms, brachiopods, mollusks, arthropods, and microscopic organisms. 390 million years ago, the geography and climate of the Ohio Valley was completely different, and the Falls of the Ohio area was inundated by a warm, tropical, shallow sea. 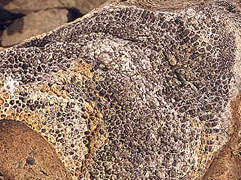 The ancient fossil beds formed by that sea are among the largest, naturally exposed, Devonian fossil beds in the world. No visitor to Clarksville should miss the Interpretive Center at Falls of the Ohio State Park, a state of the art facility that gives a fascinating view of the geologic forces that shaped the area. The Interpretive Center overlooks a large dam that now obscures the falls and rapids that dominated the river in George Rogers Clark’s time (and are memorably navigated by Meriwether Lewis and young Charles Floyd in The Fairest Portion of the Globe). The Interpretive Center offers a great film to orient you to the amazing natural history of the area, and you can walk through well-crafted exhibits to learn about the fossil life that once inhabited the shallow sea that covered the Ohio Valley. Want to see the fossil beds up close? Outdoor walking trails will take you down to the river’s edge, where you can see the unique limestone formations made up of thousand of creatures. On the day we went, the wind was stiff, raising small whitecaps on the swift, fierce current of the Ohio. 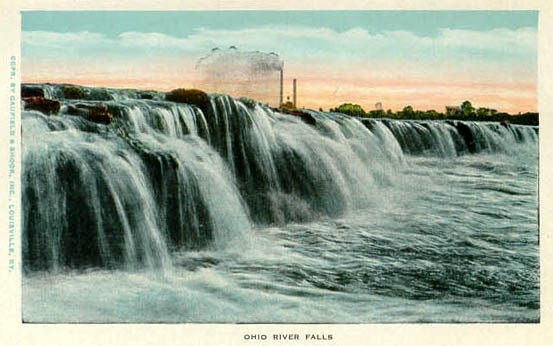 Falls of the Ohio, before the dam was built. Note the steamboat being piloted over by an intrepid boatman. Falls of the Ohio State Park includes the George Rogers Clark homesite. 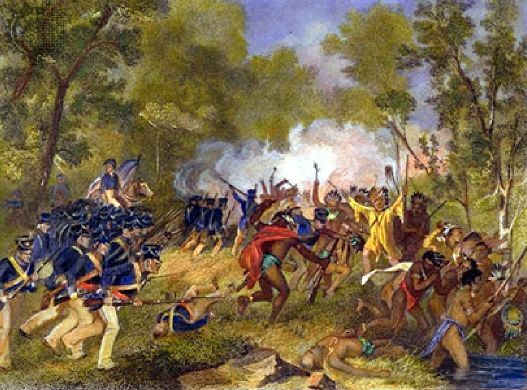 In 1783, land was cheap, and the 8,049 acres George Rogers Clark received as his share of “Clark’s grant” was the only compensation he would ever get for conceiving and commanding the campaign that secured the Northwest Territory for the United States. 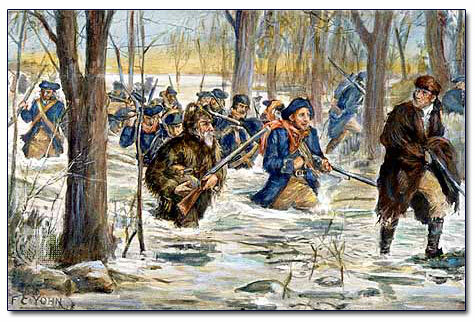 At the end of the war, neither Virginia nor the United States would honor the debts Clark had incurred arming, feeding, and outfitting his army. Hounded by creditors for the remainder of his life, the land Clark received from Clark’s Grant was the only property he held in his own name. George Rogers Clark home site in Clarksville. This cabin is not the original, though it is of the same time period. The beach and whole bed of the river for two or three miles here is one continued body of limestone and petrifactions. The infinite variety of the latter are equally elegant and astonishing. All kinds of roots, flowers, shells, bones, buffalo horns, buffalo dung, yellow-jacket’s nests, etc., are promiscuously seen in every direction on the extensive beach at low water, in perfect form. I discovered and brought to my lodgings a completely-formed petrified wasp’s nest, with the young in it, as natural as when alive. The entire comb is preserved. Fascinated by natural history, Clark conducted archaeological excavations around Clarksville. Clark was an expert on the wooly mammoth and sent many specimens of bones and teeth east to Thomas Jefferson, who included them in his private natural history museum at Monticello. The area was also the site of many Indian mounds; earthworks of unknown age and origin dotted the area around the falls. Clark’s careful study and powers of observation led him to conclude that the mounds were made by ancestors of living Native American tribes—a conclusion supported by archaeologists and paleontologists today. 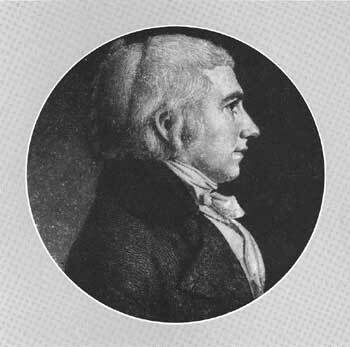 William Clark was living with George at Point of Rocks when he received his famous letter from Meriwether Lewis, inviting him along on the western expedition. 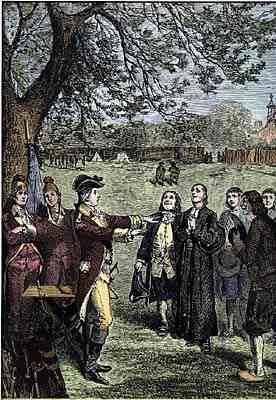 A number of members of the Corps of Discovery—the “nine young men from Kentucky”—were recruited from the surrounding area. 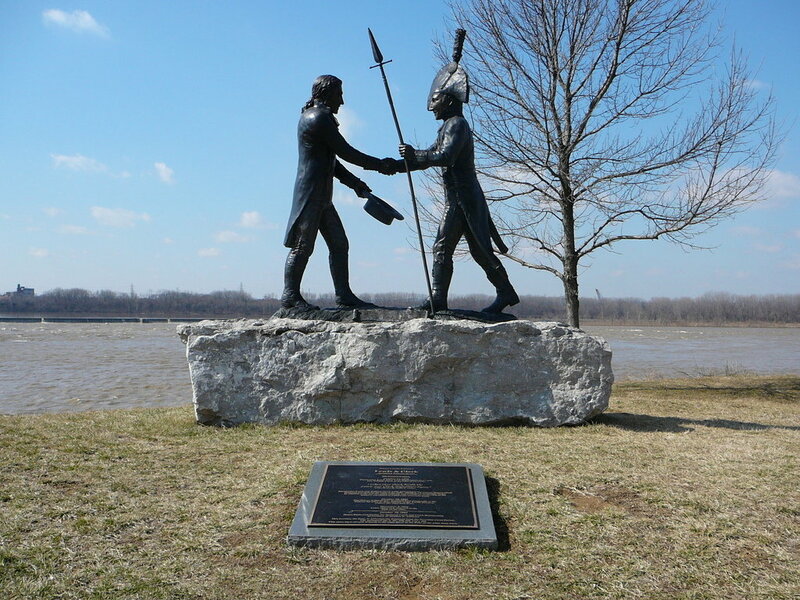 Meriwether Lewis and William Clark departed from Point of Rocks at Clarksville on their historic journey on October 26, 1803. At the lower end of the falls is the deserted village of Clarksburgh (Clarksville) in which General Clark himself resides. I had the pleasure of seeing this celebrated warrior, at his lonely cottage seated on Clark’s Point. This point is situated at the upper end of the village and opposite the lower rapid, commanding a full and delightful view of the falls, particularly the zigzag channel which is only navigated at low water. The General has not taken much pains to improve this commanding and beautiful spot, having only raised a small cabin, but it is capable of being made one of the handsomest seats in the world. General Clark has now become frail and rather helpless, but there are the remains of great dignity and manliness in his countenance, person and deportment, and I was struck with (perhaps) a fancied likeness to the great and immortal Washington. George Rogers Clark lived at his cabin at Point of Rocks until December 1809, when he fell in the fire, whether due to a stroke or drunkenness no one can say. His leg was badly burned, became infected, and was amputated the following March at his sister’s home in Louisville. 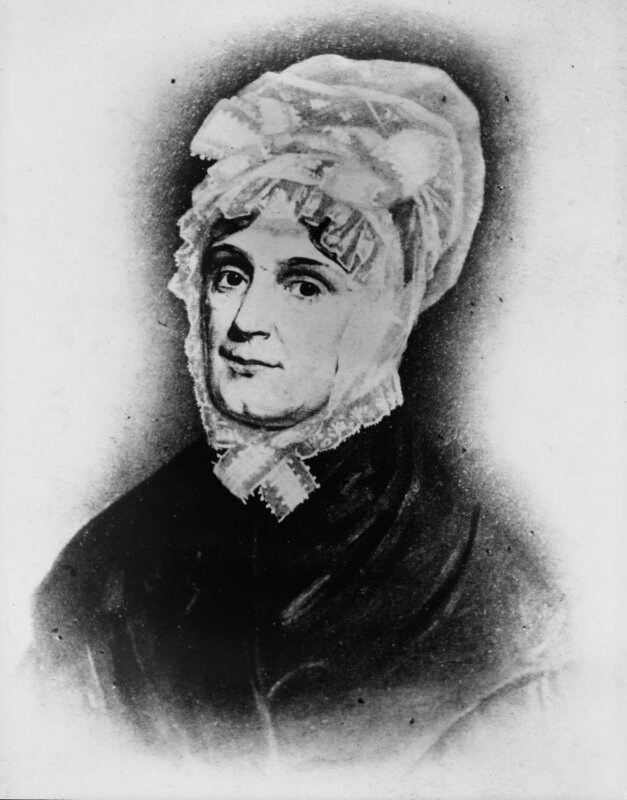 Clark spent the last nine years of his life at his sister Lucy Croghan’s home, Locust Grove, near Louisville.